A Visitor Pass to London is like a passport to London and more. It takes you through the very top London attractions and get you treated like a V.I.P while visiting this historic European and indeed world city. From Tower of London, to the Kensington Palace, St Paul's Cathedral, Windsor Castle, London Zoo, the London Aquarium, Shakespeare's Globe, Big Ben... and more, you get taken to these land mark places to truly enjoy the sight and sounds of London. No wonder most customer survey results on visitors to London show that over 95% of London Pass users are more than satisfied and would recommend the pass to others. Visit London top attractions for less. Get The London Pass here and make the most of your stay in London. Whether you are new to London or a savvy Londoner, getting your visitor pass to London is a wise step to take. It will make your journey smoother. See some other benefits of getting visiting London on a pass below. If you are thinking that is probably not worth getting a Visitor Pass to London , then it may well be worth thinking again. A visitor's pass will not just save you money, it will also make sure that you are able to save a whole lot of time. By having a London Pass, you won't have to queue up to buy tickets. So that means you don't have to worry about queuing up at the ticket office, or having to wait behind someone who can't understand the ticket machine and takes forever to buy a ticket. No, you don't have to queue, you just arrive at the Tube station and then go to the platform and you catch your train. You don't have to worry about having the right money for a bus, you just get on the bus and show your card and find a seat. You save money by having all your travel options taken care of, so you don't have to worry about entering different zones, or having the right ticket for the journey you are making, which means that you get peace of mind. 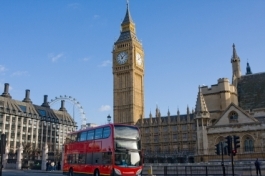 A visitor's travel card will also help you to budget for your time in London. Public transport in London is quite affordable but if you are making several journeys a day, it really does start to mount up, so it is easy to overspend, without even realizing it at the time. With a travel card option, you are in control and know just how much is being spent: and how much money you have left! A travel card can also offer you more security than having to get out your wallet or purse in very crowded areas, where you may feel slightly uneasy about showing your money. All you need to do is keep your travel card safely in your pocket and then show it whenever you get on a tube, train or bus. Public transport really is the only way to see London, since traveling by car or bike is very difficult if you are not used to the city. Parking is an absolute nightmare (and very expensive). And then, of course, there is the congestion charge, which really pushes costs up. So a Visitor Pass to London will allow you to simply travel freely and without any worries or hassles. And, if it saves you a few pounds, then that's even better! Are you looking for where to buy London Pass? Look no further. Buy your London Pass online here. Use this code londpas05 and even save a further 5% (five percent)on the retail price of London Pass here. Just click this link and buy LONDON PASS online. Whatever you do before going to sightseeing in London, remember: The Visitor Pass to London is your ticket to top London attractions, saving you time and money, as well as providing you with a "visa" to being treated like a V.I.P while visiting London. Get one today. Return to "The London Pass" from "Visitor Pass to London"